The Priest Hole Restaurant and Tea Rooms are part of Kelsick Old Hall, one of the oldest buildings in the beautiful village of Ambleside in the centre of the English Lake District. With many original features the atmosphere may not be edible, but it does play a huge part in your dining enjoyment, and our friendly young team work hard in a refreshingly casual, but attentive way, to provide a relaxed and enjoyable experience. 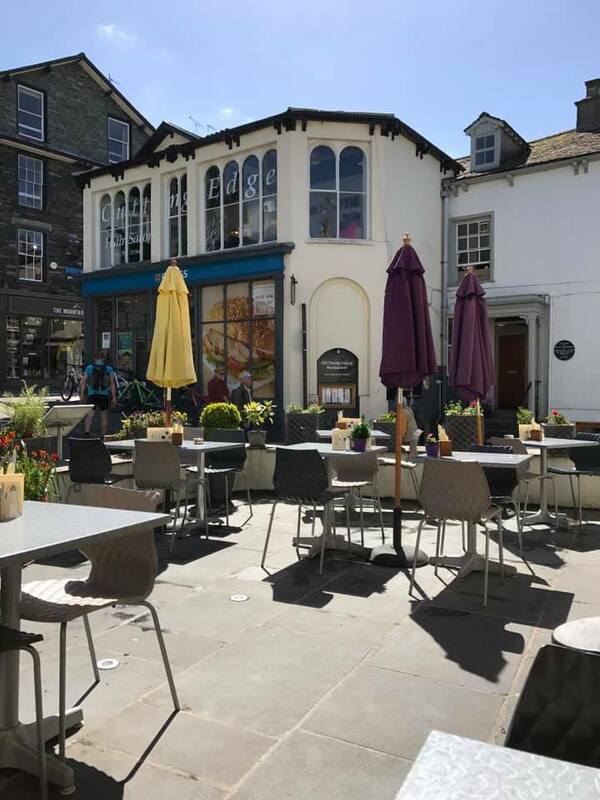 We have a delightful outside terrace for alfresco meals on those warmer days, or just to sit and have a coffee and watch the world go by (dogs welcome on the terrace). We serve fresh home-made traditional Cumbrian/British food, all sourced locally, complemented by our choice of tastefully selected wines, and locally brewed fine bottled ales and beers. Looking for a private function, or celebration, we can offer a tailor made service - just give us a call. We hope you will visit and enjoy your time with us.